The valley of the shadow of death: near Fukushima Daichi, March 2015. Photo: Lucas Wirl via Flickr (CC BY-NC). Imagine that you’ve been informed that your land, your water, the air that you have breathed may have been polluted by a deadly and invisible contaminant. Something with the capacity to take away your fertility, or affect your unborn children. Even the most resilient of us would be concerned … many thousands of radiation emergency survivors have subsequently gone on to develop Post-Trauma Stress Disorder (PTSD), depression, and anxiety disorders as a result of their experiences and the uncertainty surrounding their health. We need to provide greatly improved social support following resettlement and extensive long-term psychological care to all radiation emergency survivors, to improve their health outcomes and preserve their futures. The fact that infant mortality peaks in May 2012, more than one year after the Fukushima accident, suggests that the increase is an effect of internal rather than external radiation exposure. In Germany [after the Chernobyl nuclear disaster] perinatal mortality peaks followed peaks of cesium burden in pregnant women with a time-lag of seven months. May 2012 minus seven months is October 2011, the end of the harvesting season. Thus, consumption of contaminated foodstuff during autumn 2011 could be an explanation for the excess of infant mortality in the Fukushima region in 2012. About 60 people died immediately during the actual evacuations in Fukushima Prefecture in March 2011. 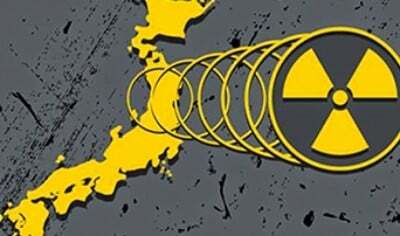 Between 2011 and 2015, an additional 1,867 people in Fukushima Prefecture died as a result of the evacuations following the nuclear disaster . These deaths were from ill health and suicides. Thanks to Azby Brown, Yuri Hiranuma, Dr Tadahiro Katsuta, Dr Alfred Körblein, Becky Martin, and Mycle Schneider for comments on early drafts. Any errors are mine. 1 Credit to Jan Beyea in the US for the negative lottery idea. 2 Correct as of March 2015. 3 In addition, 1,603 people were killed directly by the earthquake and tsunami in Fukushima Prefecture, and approximately 1,350 tsunami evacuee deaths occurred in Miyagi and Iwate Prefectures: in the latter cases, the evacuations were not radiation-related.